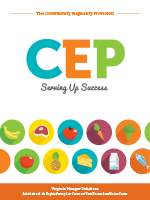 The Community Eligibility Provision (CEP) is a powerful new tool that allows high poverty schools and school divisions to offer breakfast and lunch to all students at no charge. In addition, the measure streamlines school meal operations by eliminating the need to collect and process school meal applications. View the Virginia Department of Education’s list of eligible and near eligible schools and divisions. Are you interested in implementing CEP? Click here to download our toolkit. Any school that has 40 percent or more “identified students” can participate in CEP. Identified students include children who are directly certified (through data matching) for free meals because they are in foster care or Head Start, are homeless, are migrant, or are living in households that participate in the Supplemental Nutrition Assistance Program (SNAP), Temporary Assistance for Needy Families (TANF), or the Food Distribution Program on Indian Reservations (FDPIR). By May 1 of each year, the Virginia Department of Education must publish a list of all schools that are eligible for CEP and all schools that are near-eligible. A school division may implement CEP in one school, a group of schools, or division-wide. 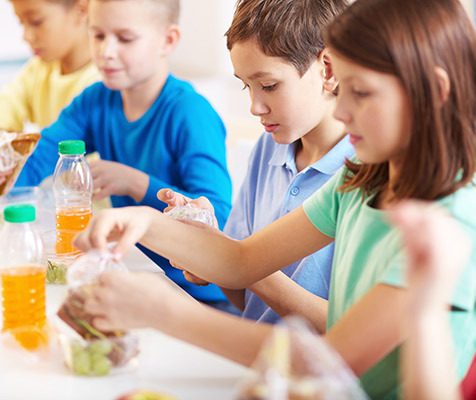 School divisions that are interested in implementing the option will want to calculate its impact on their federal reimbursements and food service revenue. Federal reimbursements for both lunch and breakfast are determined by multiplying the percentage of identified students by 1.6. The resulting number is the percentage of meals reimbursed at the “free” reimbursement rate, with the rest being reimbursed at the “paid” rate. Example: ABC Elementary School has an identified student percentage of 50. Therefore, 80 percent of its breakfasts and lunches would be reimbursed at the free rate (50% x 1.6 = 80%), and the remaining 20 percent of breakfasts and lunches would be reimbursed at the paid rate (100% – 80% = 20%). The Virginia Department of Education is available to assist schools with estimating reimbursements under CEP. 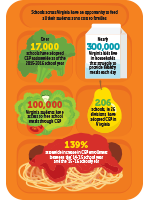 Virginia Hunger Solutions gratefully acknowledges support of its work to expand the Community Eligibility Provision from Hunger Is, a joint program of The Safeway Foundation and the Entertainment Industry Foundation.